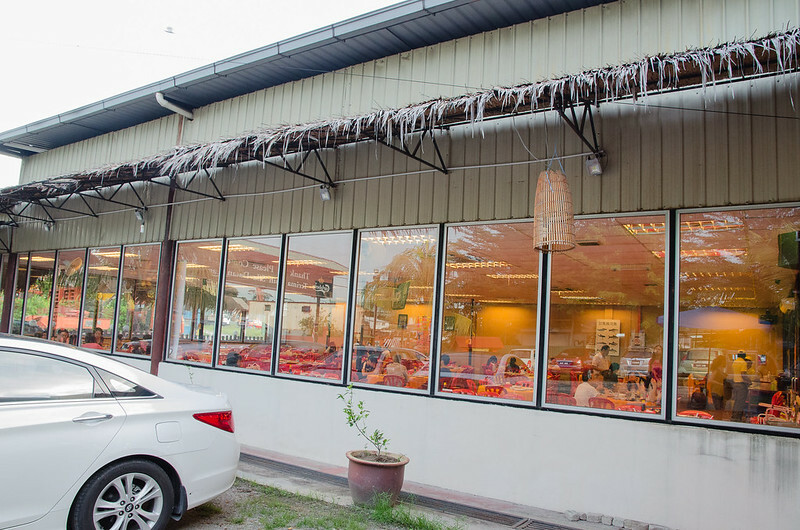 Lala Chong Seafood Restaurant at Kampung Sungai Kayu Ara is one of our favorite Chinese seafood restaurants in Petaling Jaya. 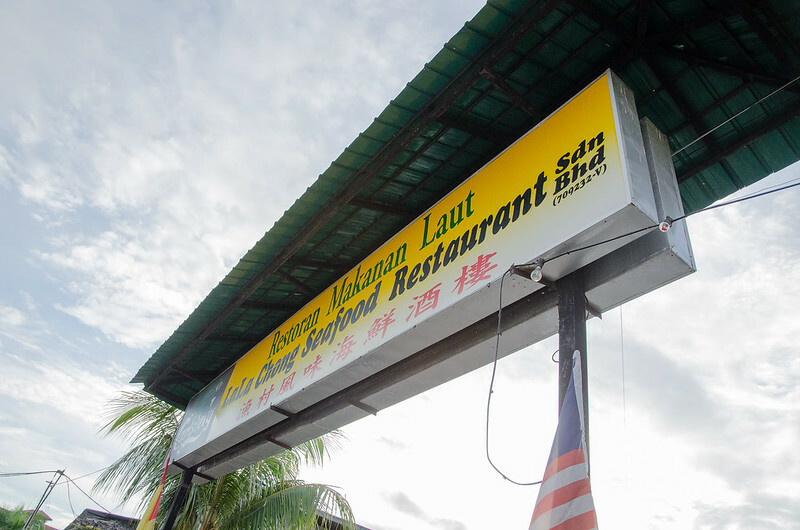 Before this, the restaurant was operating near Subang Airport. 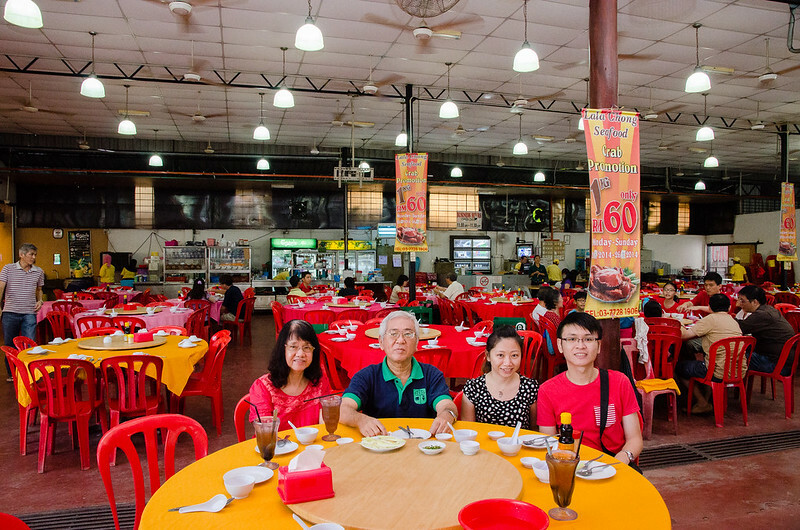 In Kampung Sungai Kayu Ara, our other favorite Chinese restaurant is the Damansara Village Steamboat Restaurant as blogged on my blog post here. Lala Chong’s specialty is their big and juicy lala, thus the name Lala Chong. We saw many customers eating their crab as well but we never had the chance to try their crab. The starter here is special too, compared to other Chinese restaurants. Read on to find out more. Lala Chong Seafood Restaurant’s big and juicy lala. 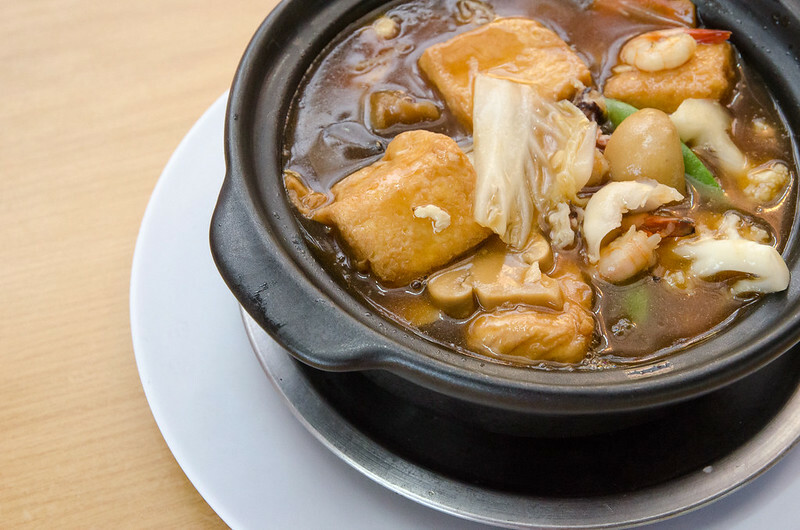 Steamed lala soup is the must order dish here in Lala Chong Seafood Restaurant. The tasty addictive soup goes well with white rice. I can just eat the soup and the rice alone. This dish is also served with candle to keep the soup warm throughout the dinner. Big, fat and juicy lala. The lala are clean and no sand found in the body. 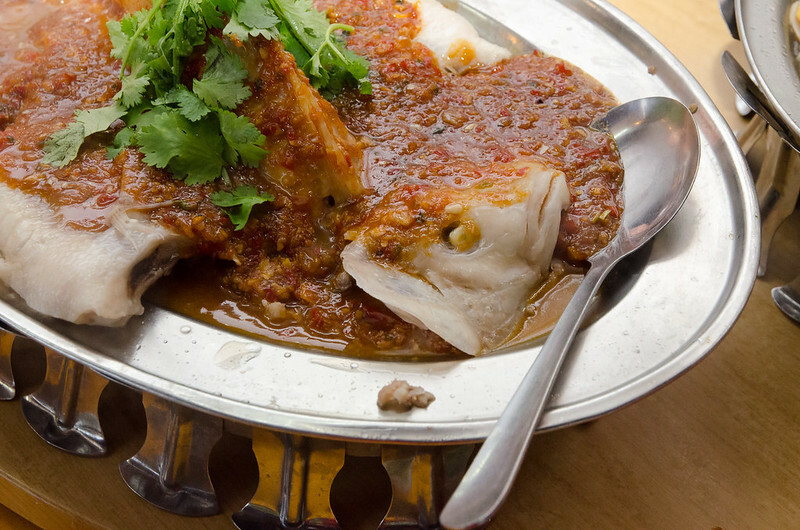 Steamed tilapia fish. Fresh and delicious but personally I’m still prefer steamed Tilapia at Restoran Lan Je Steamed Fish as blogged on my blog post here. This seafood tofu is also delicious. I wonder if the tofu is homemade? Ordered a plate of green vegetables. 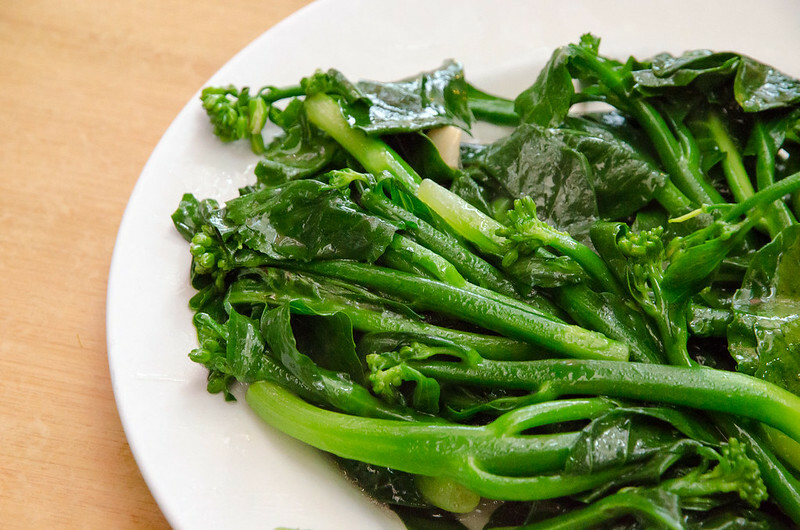 The Hong Kong Lettuce is fresh and crunchy. 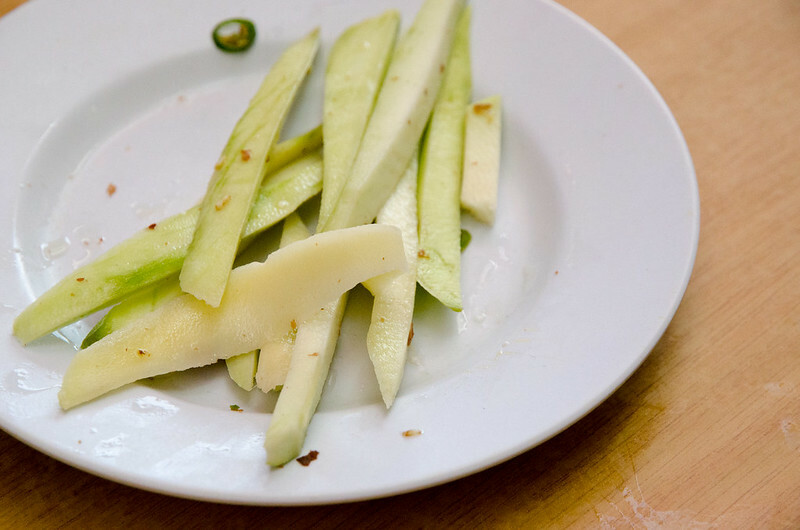 Unlike other Chinese restaurant serving peanuts as starter for you to wait for the food, Lala Chong Seafood Restaurant serves this mango salad. 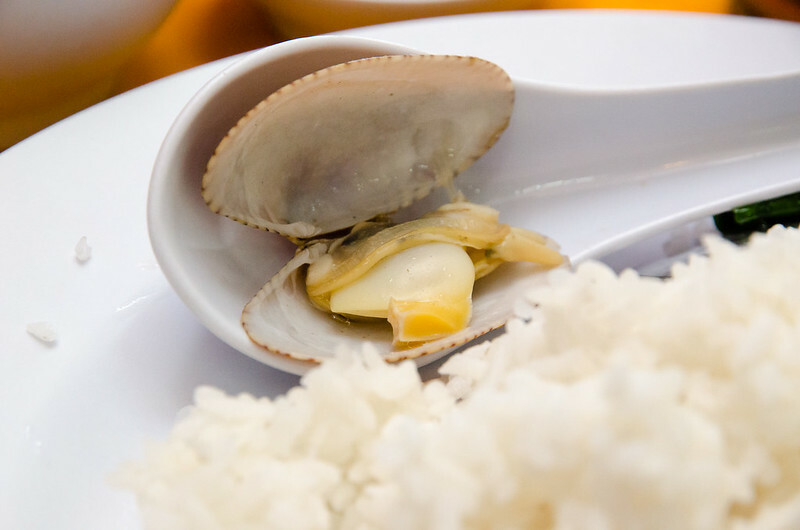 Sour, sweet and spicy at the same time to prepare your taste buds for the seafood. There is also a satay stall here at Lala Chong Seafood Restaurant. 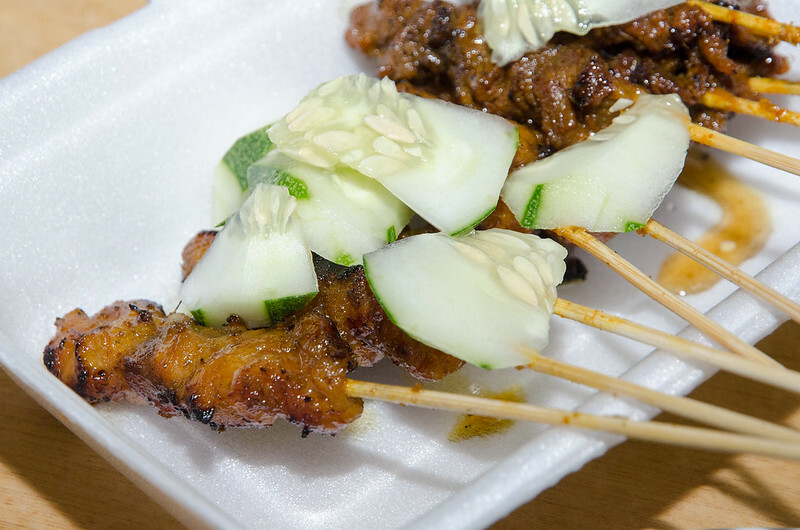 Satay is tasty and juicy, worth to order as side dish while eating your dinner here. 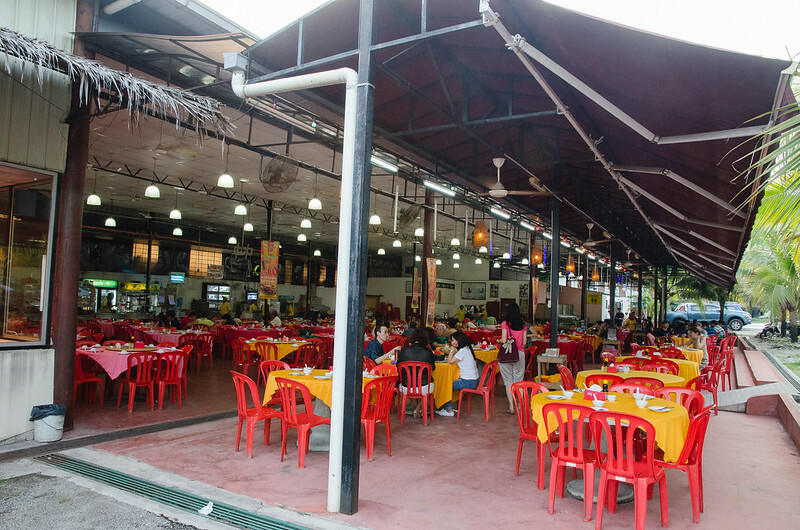 Lala Chong Seafood Restaurant is a big standalone one floor building. It has air-con room and open space as the photo above. Personally, we prefer the open area as the air-con room can get noisy when there are many customers discussing their daily life with family or friends. This is the air-con room. The room can be quite noisy due to echo of people talking in the restaurant while enjoying their seafood. 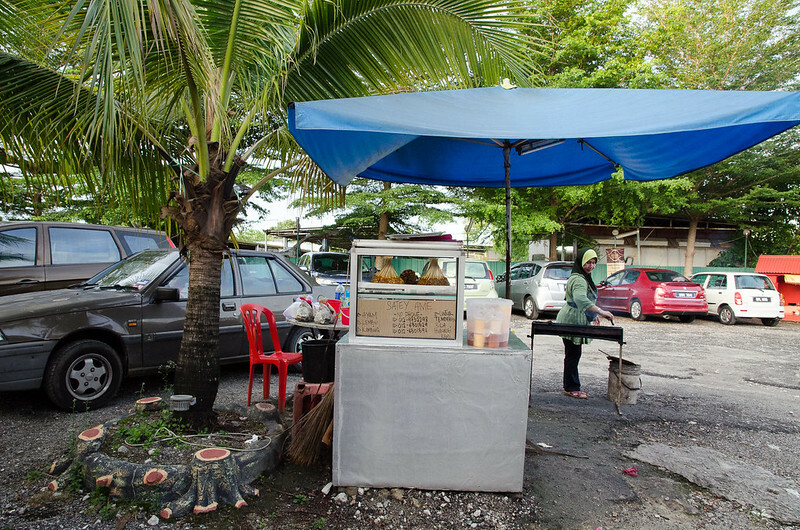 The satay stall at Lala Chong. I saw the menu got lamb satay but it is only available for catering. While waiting for our dinner, we shoot some photos for memory. 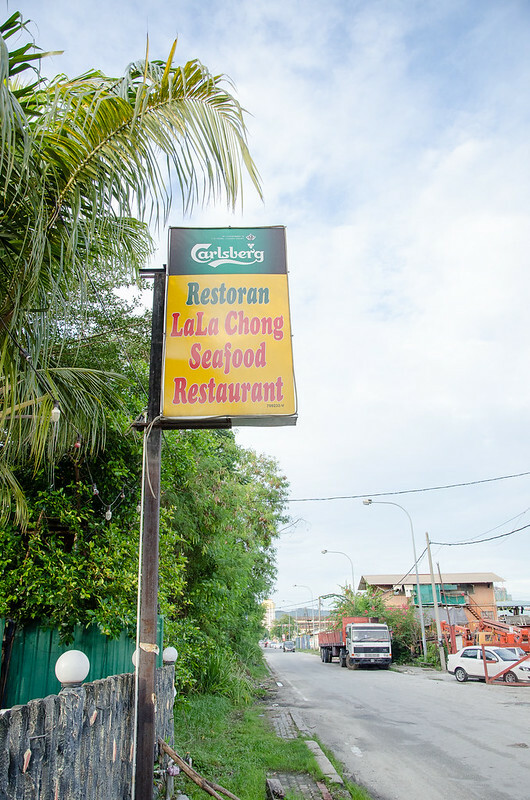 Lala Chong Seafood Restaurant is easily found using WAZE. Spot this signboard on the roadside to be sure you are going to the correct restaurant. Just beside this restaurant is the Pantai Seafood Restaurant. The gate to Lala Chong Seafood Restaurant.